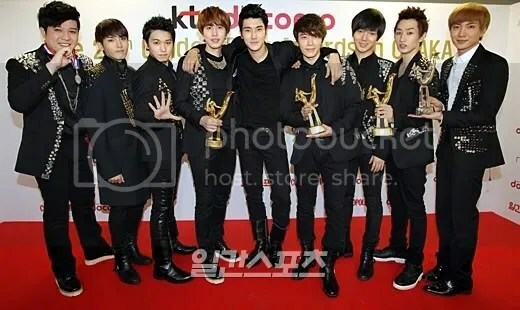 2011 Golden Disk Awards – Super Junior won 4 awards!! @shfly3424: http://twitpic.com/85yxr2 Golden Disk Daesang and we got 4 golden trophies .. ELF all over the world who has given this gift, thank you and I love you. [Sungmin Naver Blog] http://twitpic.com/85z9wh http://twitpic.com/85z9xu Really Really.. Happy day. In the future I will work harder to return everyone that give us this awards. I love u. The Best, The best!! @special1004: Let’s make another history~^^ We won’t stop but run!! Super Junior is good at everything except one thing! Breaking up!! Our members even don’t know how to do it~ We’ll show you new looks and efforts at all times! Please keep your eyes on us^^ Let’s be forever~!! Proud to be an ELF!! Super Junior, The Last Man Standing! !